And quite often the grammatical usage of alumnus is wrong. Alumnus is a Latin word used with it original Latin declensions in English. In other words the word-ending changes depending on its referent number, case, and gender, which is not the case for native English words. This catches many out. It may seem like a small thing, but your Adcom reader is likely to be literate, and wrong usage is like leaving your fly open. Your essay will be not quite buttoned down and correct. Uneducated English doesn’t help you get that elite MBA ticket. One graduated man is an alumnus of his graduating institution. One graduated woman is an alumna of her graduating institution. Two or more graduates, with at least one male among them, are alumni of their graduating institution. 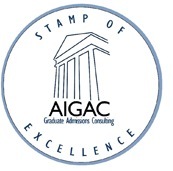 Two or more female graduates are alumnae of their graduating institution. There are no exceptions, and the graduating institution itself has no bearing on correct usage. Now and then you may see the catch-all term “alum”. 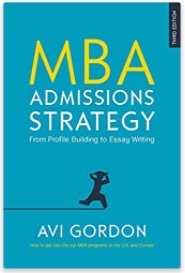 With alum you can’t be wrong, but it’s borderline too slangy for MBA admissions essays. You will probably get away with it, but now you know the right usage, you can be elegant and exact in your communications.